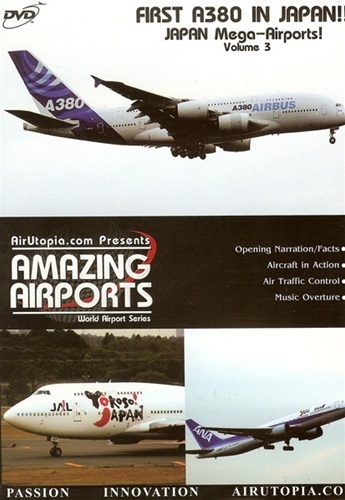 AirUtopia is honored to bring you DVD #3 of our Japan Mega Airport Series, devoted to one of the most exciting airports in the world - Tokyo Narita International Airport! You will witness the historical first landing of the new Super Jumbo, Airbus' A380 which hopes to challenge the dominance of the popular Mighty Boeing 747 for the first time! The war of the Super Jumbos has begun!! Join AirUtopia and enjoy our special footage of this historic event!